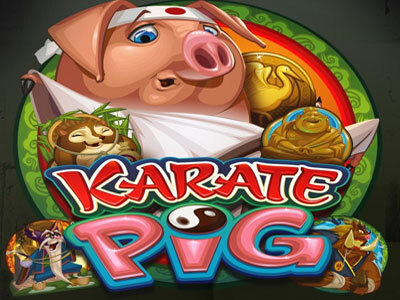 Microgaming released this fun slot in April 2012 and you will enjoy the Karate Pig and his Japanese themed friends. This theme prevails with typical icons including a smiling Buddha, a Sushi Bar and Bonsai! 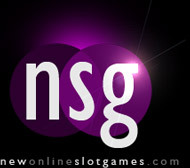 There are 5 reels and 40 pay lines and you can bet with coins ranging from $0.01 to$0.10 with a maximum bet of $20.00. There are Wilds that are stacked but you will probably find Free spins more appealing Spin 2 scattered medals on reels 1 and 5 and you win 15 free spins plus a multiplier of 2x. You also have the opportunity to re-spin. There is a second bonus round awarded when you trigger 3 or more Karate Pigs anywhere on the reels. This particular bonus continues in stages, you get to pick your bonus either Pork Chop or Hammer, and once you complete any of the bonus rounds you are rewarded with a karate belt. Continue winning until you collect the Black Belt, you are then ready for the Final Showdown. Here you are up against your arch enemy but there are some good prizes to be won should you be the victor.